One of the biggest and most expansive hits in the South Korean cinemas, Kim Yong-hwa offers a filmic version of a wildly popular webcomic of the same name in this first half of the story. Already the second-most viewed film in South Korean film history and either nominated or winning numerous Korean Film Awards, Kim’s first installment, with part 2 due to arrive later in the year as well as a television adaptation occurring in the meantime, appears poised to explode when it arrives on American shores. 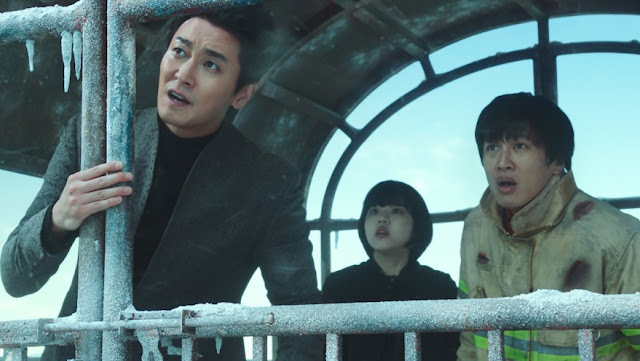 During a nightmarish building fire, firefighter Kim Ja-hong (Cha Tae-hyun, from “My Sassy Girl”) finds that he was killed in the line of duty and forced into the afterlife. Faced with three guardians, Haewonmak (Ju Ji-hoon, from “Asura: The City of Madness”) Gang-rim, (Ha Jung-woo, from “The Handmaiden”) and Lee Deok-choon, (Kim Hyang-gi, from “Thread of Lies”), he is soon put through a series of tests in order to determine his worthiness in order to be reincarnated in the next life. As the trials commence and he goes further into the afterlife, a complication emerges that puts the entire ordeal in jeopardy and must be resolved before he can pass to the other side. Frankly, taking one look at “Among the Gods” reveals many reasons for its popularity. Writer/director Kim Yong-hwa has crafted an ingenious tale that offers plenty of enjoyable elements. The original story, laced with a fine action-based subplot featuring the escaped spirit, offers a fascinating folktale about death and the spirit after we have died. Utilizing the basic framework of a multiple-layered Hell and the spirit going through trials in each said level, the film offers a novel and enjoyable variant on those types of stories. The second storyline, about Gang-rim tracking down the escaped family-member turned renegade spirit interrupting the trial, is a stellar secondary piece. With the guardians afraid of what it would mean to their process if word got out about the being creating a bad name for the family, this sense of urgency to stop it before the trial is affected is a great bit of suspense throughout in the race to stop it. Likewise, the film itself is simply beautiful to look at. The production design by Lee Mok-won is absolutely stellar, traversing the various places in the Afterlife and creating many memorable and lasting settings. From the sea of volcanoes where they hold a court meeting inside an active lava-flow and a waterfall-based cliff overlooking the giant grounder on the island below, to the meeting being conducted in the middle of a giant forest or overlooking a coliseum composed of jagged, massive rocks, the different locations here are impressive and manage to feature plenty of intriguing locations. Captured beautifully by cinematographer Kim Byung-seo, ‘Along with the Gods’ features a presentation that rivals mainstream Hollywood fare with the presentation of the different worlds or the epic sense of scale generated by the action within. From massive falls and plunges to swordplay and even full-on battle scenes, this packs in a fine action quotient to manage the fantastical storyline. However, it’s really the cast and acting here that impresses more than anything. Ha Jung-woo is incredible as Gang-rim, the man in charge of Ja-hong’s trial. Initially appearing to be a strict and determined being trying to ensure the process goes smoothly, the more they uncover about his life the more he reverts back to his human persona in terms of recklessness as he tries various tactics to help Ja-hong. The film, however, still manages to make him likable and sympathetic as they traverse the various stages due to his level-headed charisma and ability to keep his emotions in check. 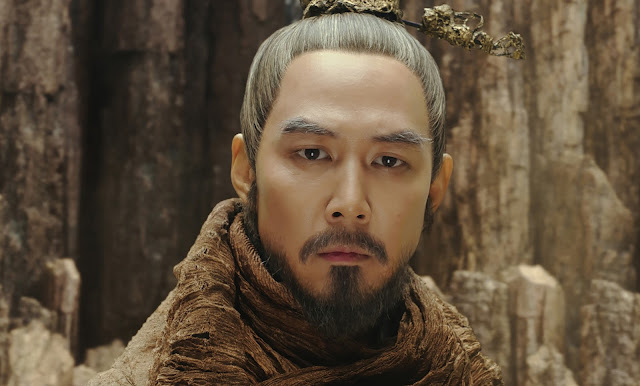 His right-hand man, Haewonmak is played by Ju Ji-hoon as a somewhat more reckless, but still respectful individual who clearly wants the best for Ja-hong but treats this as part of the job. Despite his importance, he doesn’t view Ja-hong as being of the deemed status bestowed upon him and tries to keep his level-headed reserve for the job in check as they continue through the trials. However, it’s the last two who deserve special mention here. Kim Hyang-gi is phenomenal as Lee Deok-choon, the apprentice-like being to Gang-rim as she is shown the ropes of how to garner souls through the afterlife. Spunky and optimistic, she begins with an infectious attitude that doesn’t denote the ordeal ahead, but gradually becomes invested in the process. She looks genuine in her concern for Ja-hong and the boldness she displays during the latter parts of the trial add to her likability which is what really brings us to the process. Lastly, Cha Tae-hyun works wonders as Kim Ja-hong, the firefighter being shown his life before his eyes. Initially, he appears completely overwhelmed bin what’s going on, but as we get to learn the series of tragedies in his past the more emotionally invested the audience becomes. It’s a testament to his talent that the drama weighs out nicely and the finale almost becomes tear-inducing as we learn the truth about him which is what helps to sell the action so well. Even with all these elements present, it does have a few minor flaws. The most apparent is the film’s ungodly length as the weighty running time does feel every bit the near two-and-a-half hours. The trials here really take their time, as both the guardians and the prosecutors are given full-reign to speechify in order to give their full arguments before the Superior Beings in charge of each location. These scenes really could’ve been trimmed down to the actual points in order to move the pacing up. Likewise, the secondary subplot about the vengeful spirit potentially-harming the process could’ve been dropped entirely. This injects the film with action, but in doing so also forces the film to halt the action in order to determine the cause of the spirits’ actual death. Despite the rational motivation for the vendetta, the subplot was unneeded until the very end and just adds to the overlong length of the film. There’s not a lot to say about how to integrate it, but it adds a heavy drama that makes the film feel overlong more than anything. 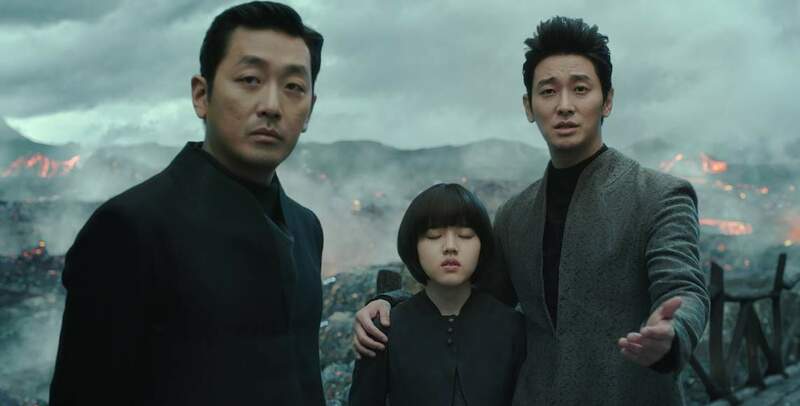 In the end, the film is a stellar and wholly worthwhile Fantasy/Action/Drama epic that really seems to embody what the best of South Korean cinema has to offer. It’s big-budget look and feel offers worthwhile counterpoints to mainstream Hollywood, and yet the regional twist in the storyline and attitude towards its characters, the film emerges as a fine effort for those willing to take a chance on that material or fans of Korean cinema in general, while the running time might be the only aspect that would make others heed caution here.